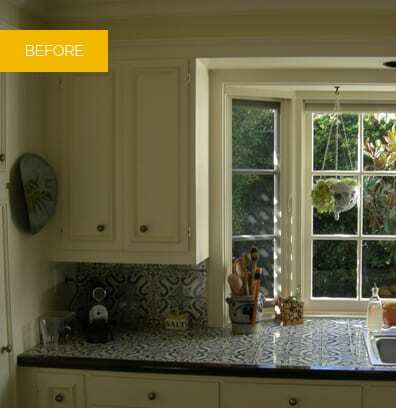 In a historical La Jolla home by acclaimed architect Thomas Shepherd, the kitchen was transformed to enhance family life while honoring the home’s essential character. Existing beams were pushed up for a higher ceiling and upper cabinetry blocking the view from the kitchen to the breakfast nook was removed. 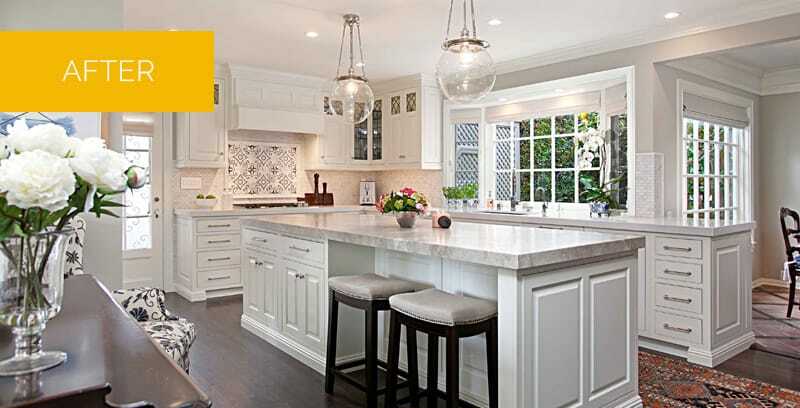 Fresh, open, and inviting, this kitchen now brings comfort and liveliness to every family gathering.